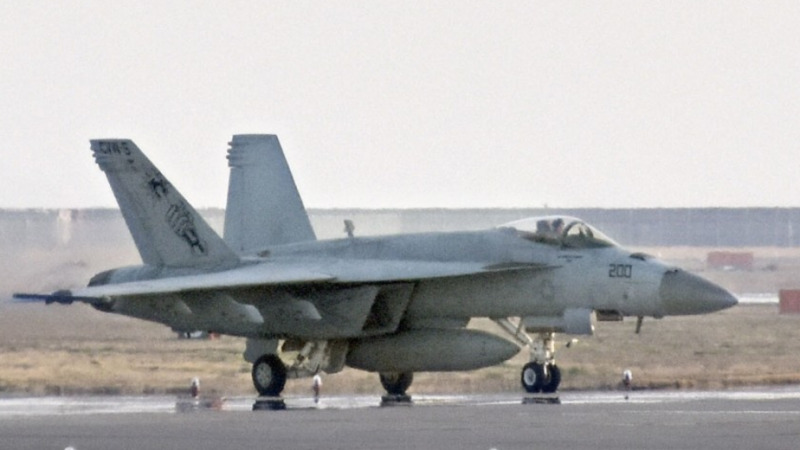 A U.S. Marine was killed and five others went missing after an FA-18 jet and KC-130 tanker plane based in Japan collided and crashed off the country's western coast early Thursday while conducting nighttime air refueling training. 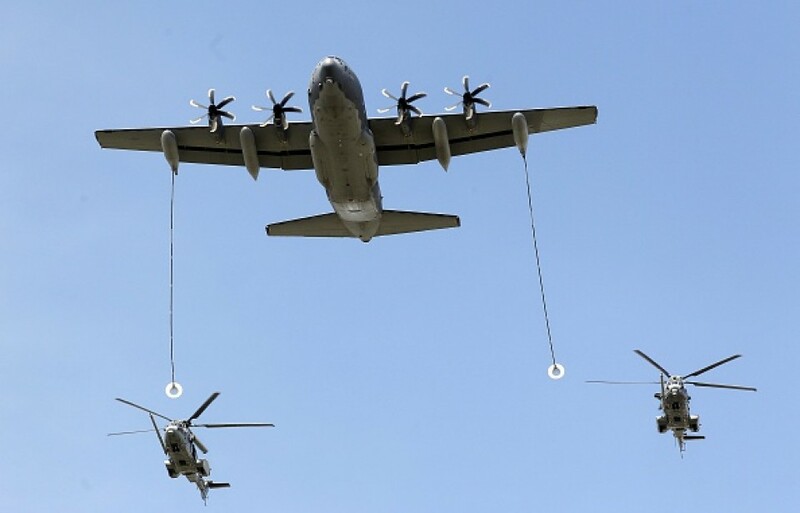 The Marine and another crew member of the fighter jet were rescued by the Japanese Self-Defense Forces following the 1:40 a.m. accident, the third crash of U.S. military aircraft in about two months. The other rescued Marine is in stable conditions, according to the Marine Corps. 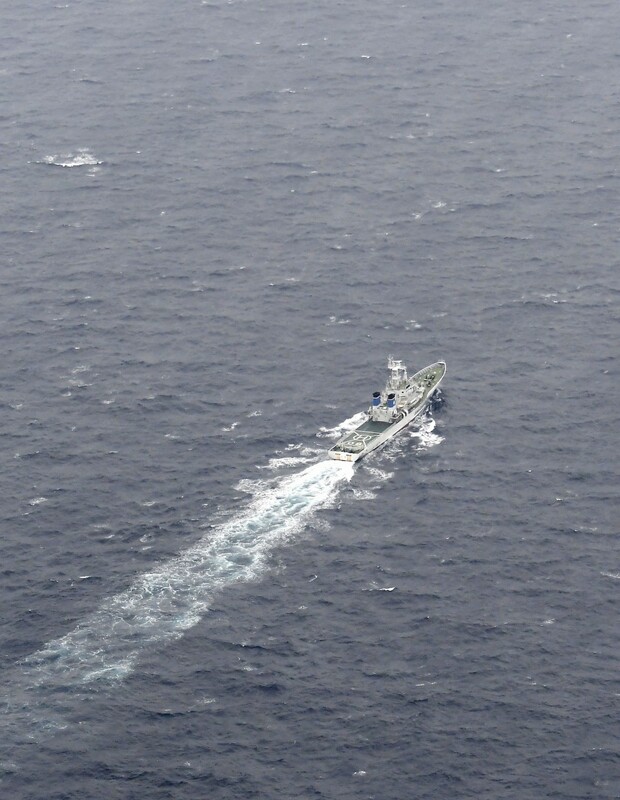 Japanese authorities said they will continue searching all night for the five missing personnel who were aboard the tanker plane in the area in the Pacific, about 100 kilometers south of Cape Muroto in Kochi Prefecture. 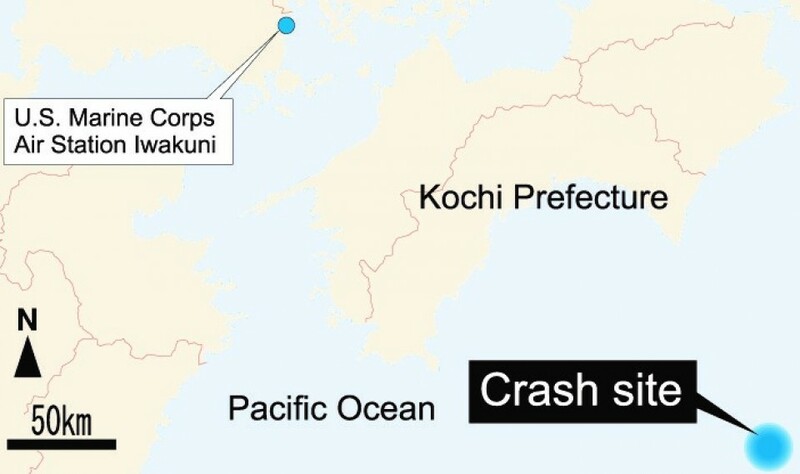 According to the Kochi prefectural government, two fishing boats were operating in the area at the time of the accident, but neither was affected by the crash of the two aircraft belonging to Marine Corps Air Station Iwakuni in Yamaguchi Prefecture. The Marines said the circumstances of the accident are under investigation. The Iwakuni base, jointly used by Japanese and U.S. forces as well as commercial carriers, is home to some 120 U.S. aircraft. The base is also used for commercial aviation as Iwakuni Kintaikyo Airport. News of the accident stirred anger among residents of the city of Iwakuni, which hosts the base that expanded its role in March under a realignment of U.S. military forces in Japan. 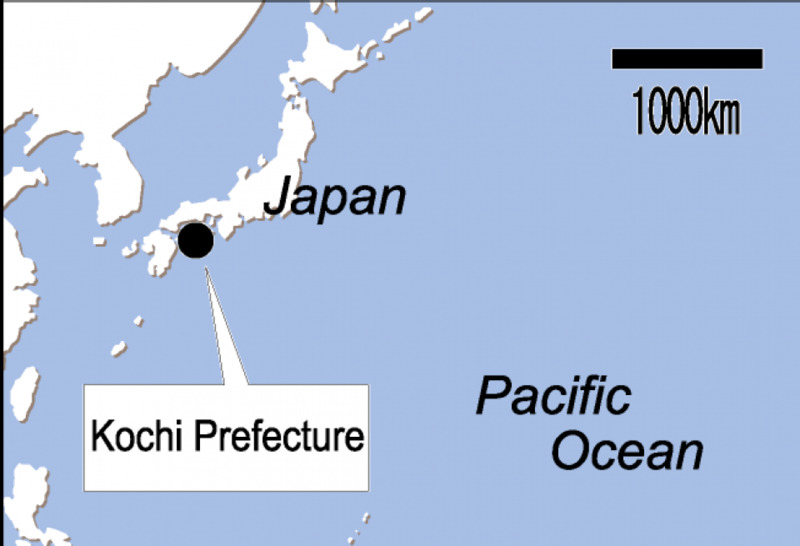 Hiroshi Okamura, who heads a local group protesting the expansion of the base, termed the distance of 100 km "very close" for an aircraft crash. "It would have been an unimaginable disaster if it had crashed in a town. All of the flying operations should be suspended until safety is confirmed," the 75-year-old said. A 66-year-old man said he has seen more U.S. jets flying recently. "I want them to take all possible safety measures," he said.